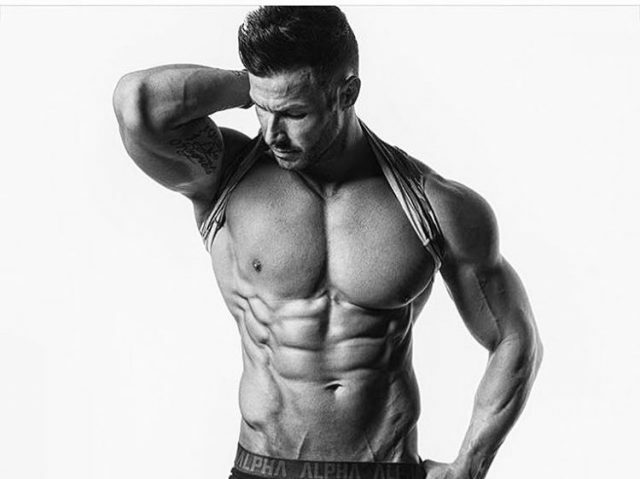 Daniel Blackwell is a British fitness model and figure competitor. Daniel started his fitness journey by carving out a career for himself as a professional football player in his youth. However, after sustaining a serious injury, he could no longer compete in the sport. After recovering from the injury, Daniel began training in the gym. 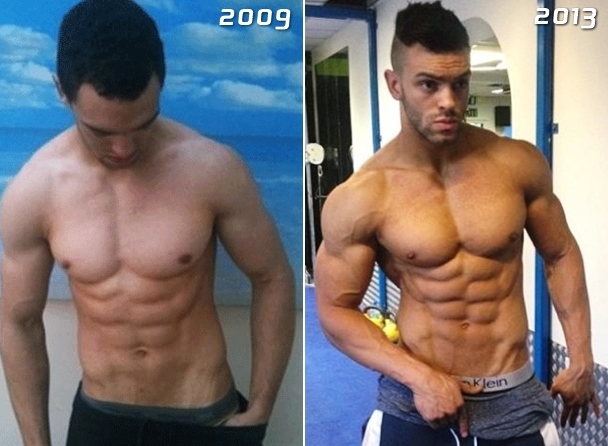 After months of strenuous workouts and “hard-core” dieting, he transformed his physique and became “addicted” to bodybuilding. With his new-born passion, Daniel began a completely new life. 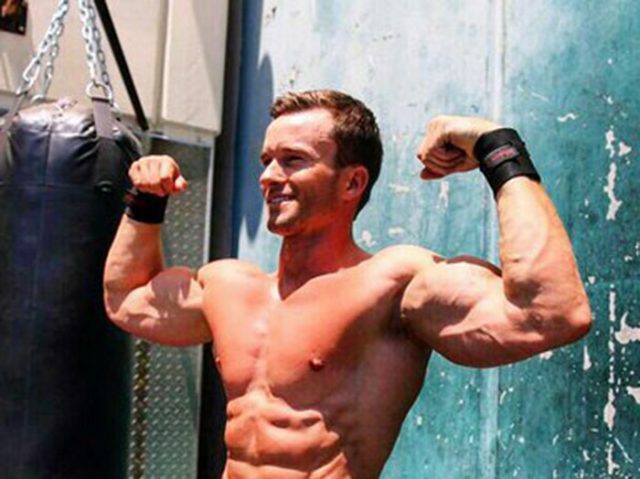 He went on to become a successful fitness model and a fitness company ambassador. He also became a familiar face on the covers of popular health and fitness magazines, with many aiming to replicate his body. Daniel now competes on the biggest stages across the UK and Europe and travels the world promoting the fitness lifestyle. Daniel is a renowned fitness model from the UK. Throughout his career, he’s won the British Championships in 2014 and competed in other minor competitions. His awesome physique established him as one of the Britain’s best models. Growing up in the West Midlands, UK, Daniel always had a natural sporting prowess. Among the many different sports he played, football was Daniel’s game of choice as a child. Daniel’s skills allowed him to play football at a professional level. He played the sport throughout his entire childhood and into high school, before suffering a hamstring injury. The injury put an end to Daniel’s hopes of pursuing a full-time career in the game. However, Daniel’s football coaches introduced him to the gym, and the Englishman quickly found his new passion. At first, it was just a way for Daniel to recover faster from the injury. But after six months of training, Daniel achieved significant results and hasn’t looked back since. Daniel Blackwell before and after. Daniel’s competitive nature allowed him to “find his feet” in the fitness industry rather quickly. In a matter of months, Daniel was able to sculpt the body of a fitness model. He was soon noticed by agencies across the UK. By the age of 21, Daniel appeared on the cover of several sports and health magazines. It was at that point when Daniel truly began making a name for himself. Having tasted the success in the fitness industry for the first time, Daniel decided that it was time to start competing. Unsurprisingly, he took home 1st place in his first competition, before qualifying for the British Finals. Daniel was a finalist in the men’s physique division of the UK Bodybuilding and Fitness Federation Championships. 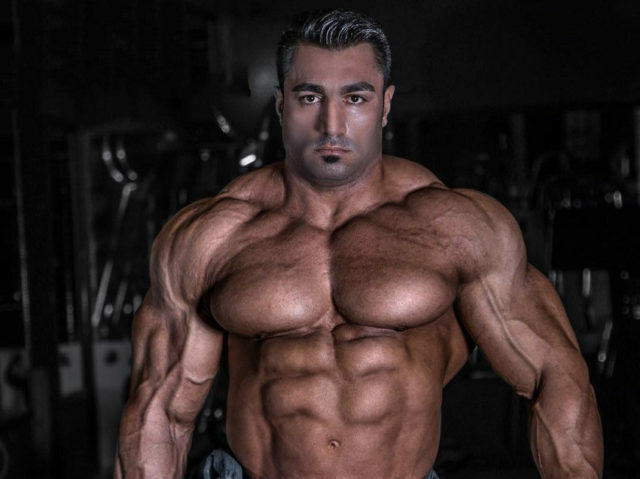 He also qualified for the famous Arnold Classic Europe 2014 and the European Championships 2016. Satisfied with his results on the stage, Daniel stopped competing for a while. This is when he decided to invest his time in developing a brand and building his career. Over the years, Daniel was able to gain sponsorship deals with some of the biggest names in the fitness industry, as well as being one of their chosen ambassadors. After trying various training routines over the years, Daniel has managed to find a “sweet spot” mixing the right amount of weight and volume. He practices a training regimen that uses moderate volume and heavy weight. This way of exercising overloads the muscle and puts it under maximum stress. Something that Daniel has responded particularly well to. Daniel believes the chest is his weakest area, so he incorporates two chest workouts into his weekly schedule. Squats – Daniel does squats in order to strengthen his quadriceps, hamstrings, and glutes. He also believes this exercise creates an anabolic environment which promotes muscle building. Bench Press – Being a fan of compound movements, Daniel believes bench press is “a must”. This exercise is one of the best exercises for building a full, round, and powerful chest, according to Daniel. He strongly believes that it’s one of the best ways to put sheer size on the pecs. T-Bar Rows – This is one of the key exercises for building a thickness on the back, says Daniel. 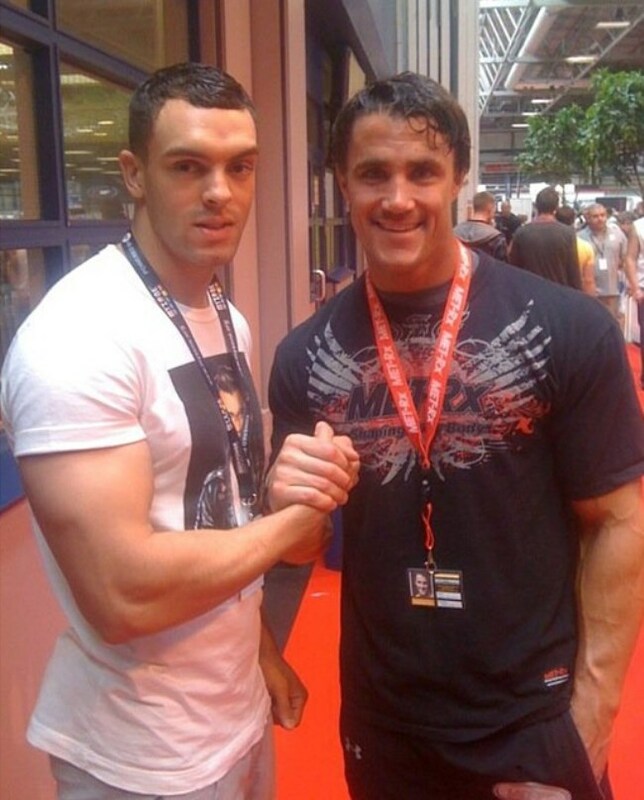 Daniel Blackwell and a deceased bodybuilding icon, Greg Plitt. Rather than having a cheat day, Daniel has just one cheat meal a week. With the balanced diet made up of carbohydrates, protein, and healthy fats. Daniel’s chosen cheat meal is normally either a pizza or a chocolate cake. 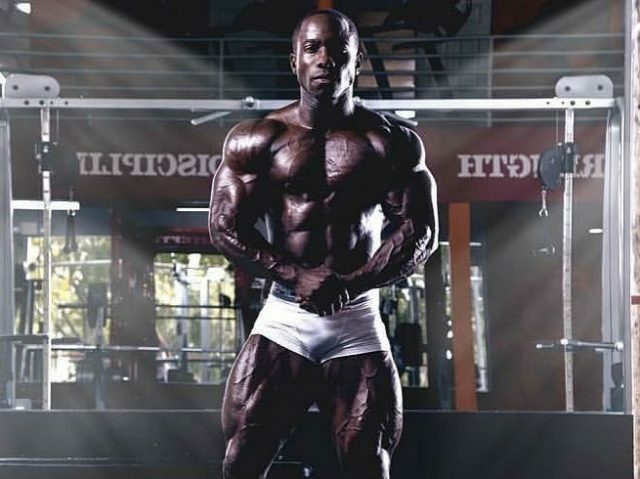 Although it was Daniel’s old football coaches who first introduced him to the gym, it has been Blackwell himself who became his own motivation in achieving big things in the fitness world. Victory is something that constantly drives the Daniel, with many young bodybuilders now looking to him for inspiration. Daniel also recognizes the support he’s received from his friends and family, something he doesn’t take for granted. Having coped with the disappointment of ending his football career, Daniel quickly found another passion with his family’s help. Daniel’s story is a real-life example for the quote “when one door closes, another door opens”. Believing he might have played football for a living, Daniel’s dreams vanished after his injury forced him to retire. However, after joining the gym, Daniel realized he could always find something to be passionate about. His love for fitness soon became his main priority in life, and the injury was soon just another blurry memory. Daniel’s success in the industry, despite his early misfortune is a proof that everyone can find their passion, and act on it.